Not to be outdone by all the other guys who are coming up with some great prizes in support of this project, Game Vault, (my FLGS) has offered to donate a Battleforce to FTW for the Storm Wardens Project. That's right folks, a Battleforce of your choosing, whether it be 40k or Fantasy. This week, it's up for grabs as the weekly Storm Wardens prize. I'll cover the cost of shipping it to the winner, all you need to do is donate to get yourself a chance to win it and the army in the end. I am very fortunate that I have a great hobby store like this just a few miles from my house. The owner actually contacted me about getting involved in the Storm Wardens project once they saw the posts about it. 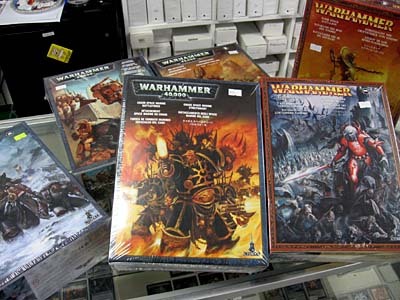 I thought I would miss out once the last official Games Workshop store left the area, but having a local store like this is way better than I thought it ever would be. It's where the Old Timer's League meets (I would say play, but we don't do much of that these days) and they're always willing to keep the store open late for us to finish our games. They order stuff for me and have a good bit of stuff in stock all the time. So if you've already donated to the project, thank you. If you haven't donated yet, then consider this your Gold Plated Invitation to do so. Even if you've donated once, donate again and increase your odds of winning the Batteforce this week and the complete army in the end. Just like the previous weeks, the drawing will be held this coming Sunday at 7:00pm PST on June 27th by the guys over at Santa Cruz Warhammer so make sure you get your donation in before then if you haven't already done so. You don't want to miss a chance at this week's prize. The donation button is up top and the more you donate, the better your chances of winning the Battleforce and the entire Storm Wardens Army. Thanks for all your support folks, without it, projects like this one wouldn't exist and FTW wouldn't be what it is today. 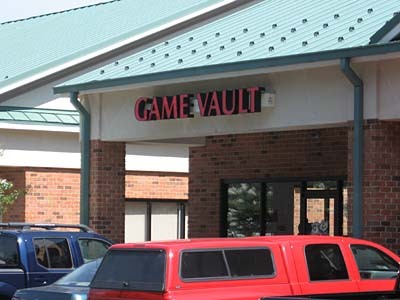 And if you're ever in Virginia, just south of our Nation's Capitol, stop by Game Vault and take a look around. If you do, drop me an email, maybe I can come over for a quick game. Storm Wardens project is a great thing! Wow, the Storm Wardens project is really great and I'm happy to support it. It's wonderful to see how the hobby can contribute to a good cause and that so many sponsors are willing to join! I'd like to donate but I dont have a debit/ credit card.